Over the past six months we’ve been covering a lot of the new improvements at Outskirts Press on this blog, and nearly all of those improvements came by asking our clients (potential, new, current, previous) what a self-publishing firm should be, what makes Outskirts Press #1 in this industry according to Top Consumer Reviews, and what we can do to make our authors even happier, more successful, and more satisfied. From their answers came technical updates to our website, changes to our publishing services, and a lot of improvements to our marketing services. You see, one of the major things we discovered is that while the DIY (do-it-yourself) and full-service self-publishing industry has gotten really good at helping authors publish books, most full-service companies (and basically all DIY platforms) aren’t very good at helping authors market books after publication. Authors at Outskirts Press are statistically more successful selling books via wholesale channels (like Amazon) than authors from other self-publishing firms. Ingram tells us so! And we want to continue that trend. But Outskirts Press authors who started publishing under our new packages after August 1 receive Book Launch Kits absolutely free. The 28 Day Book Launch Calendar — The first month of publication can be the most important, and sets the stage for long-term book marketing success, so we tell you exactly what to do every day for the first 4 weeks. The Book Marketing RoadMap – an infographic to hang up on the wall of your office as you check-off important marketing milestones like identifying your audience, creating a marketing plan, hosting a book launch party, acquiring book reviews, attending author events, and so much more. Nowadays, you can publish your book just about anywhere. But successful, professional, high-quality book publishing & book marketing begins and ends at Outskirts Press. Don’t just take my word for it. Thousands of writers say the same thing. 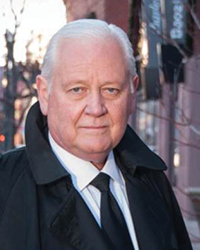 I’ve been quite busy over the past couple months, appearing at the CIPA EVVY Awards, the Colorado Book Festival, the Mountain & Plains Show, and most recently (this past week) at the Author University in Los Angeles. A premier event for marketing & publishing success (it even says so on its banner! ), this bi-annual publishing seminar and trade show educates published and soon-to-be-published authors on publishing, marketing, and publicity options all designed to help writers make great decisions and become more successful. There were two common themes at this year’s event: Change, and author-dependent marketing. Change: All the speakers, panelists, and exhibitors agreed that the publishing industry continues to undergo radical changes, and we all recognize the challenges such changes present both service-providers and their clients (authors). 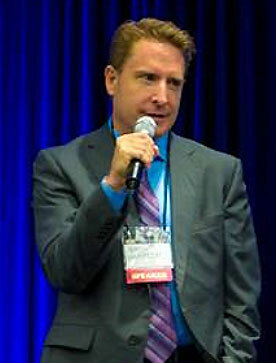 While the publishing traditionalists continued to stress the importance of agent-representation and traditional publishing, they were far out-numbered by modern approaches to publishing, marketing, and publicity (as evidenced by the many presenters who focused largely on marketing platforms such as Facebook, Amazon, and YouTube). Author-Dependent Marketing: In spite of these recognized changes, what we all agreed was not changing was the necessity of an author’s participation when it comes to marketing a book. If anything, this is becoming even more important, as even the traditionalists admitted that without a strong author platform, securing traditional publication (and selling books after-the-fact) is next to impossible. As such, the publishers that excelled in helping authors market their books after publication were the ones that created the most excitement for all the authors in attendance. Speaking of which, in follow-up to my last posting, two new Marketing Guides have been added to the Outskirts Press Publishing Center for our published authors in your Book Marketing Bookshelf. The Top 7 Marketing Elements to Include in Your Book – If your book contains one (or more) of these seven common elements, you already have a distinct advantage. Read this white-paper in your Publishing Center to discover what they are and plan accordingly to include as many as you can with your next book. 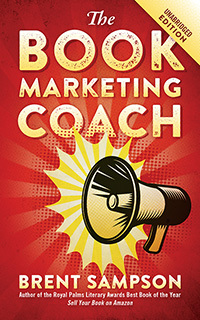 The Book Marketing Guide – The definitive book marketing bullet list that takes the complex exercise of book marketing and simplifies it. And, of course, as always it was great meeting all our current and future authors in person, including John, Greg, Gina, Francine, Dominic, Ken, Rick, Rita, Roger, and others. Here’s to your great success! What do you value most about publishing with Outskirts Press? Leading up to our August 1 re-launch as the New & Improved Outskirts Press we conducted some market research by asking a select cross-section of our published authors what single thing they valued MOST about publishing with Outskirts Press. Nearly one-third of them said they most appreciated the ability to publish their story exactly the way they wanted. So overwhelming was this response that we made it a part of our new brand-promise: “Your book matters, let’s make it your way.” You can see this brand message across many of our social media platforms, including Facebook, our blog, Google+, and YouTube. In close second, our authors indicated they highly valued the publishing team that was provided to them to help them throughout the publishing process. This has always been one of our core offerings, as you can see here, so it was nice to see it so well appreciated by our clients. Congratulations to our 2016 Best Book of the Year award-winner! Every year Outskirts Press recognizes 3-5% of our best books for official EVVY Award Nomination, to submit to the Colorado Independent Publishers Association’s EVVY Awards. From those winners, we select three finalists for our annual Outskirts Press Best Book of the Year Awards. Those three finalists then compete head-to-head-to-head in a public poll (the results of which you can see here) to recognize the writer with the best “author platform” and marketing prowess in order to earn the esteemed title of Outskirts Press Best Book of the Year. In short, it’s not easy. 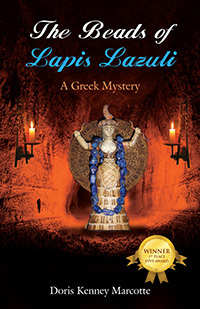 So, when an author accomplishes it twice, that is truly a remarkable achievement! 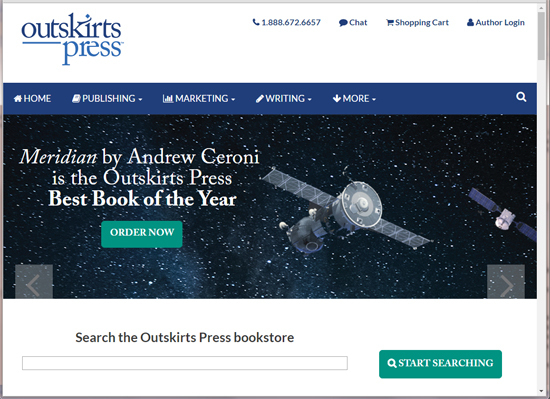 Congratulations to Andrew Ceroni, author of 2016’s Outskirts Press Best Book of the Year, Meridian! Makes you want to read it, doesn’t it? 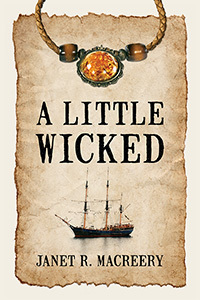 Andrew Ceroni is not only a master story-teller, and an excellent marketer, he also happens to be a hell of a nice guy! I’ve met him twice. Most recently, at this year’s EVVY Awards when he accepted his 1st Place EVVY Award for Meridian (in the Action/Adventure Category), and his 2nd Place EVVY Award for Meridian (in the Science Fiction Category). And I met him at last year’s EVVY Awards when he accepted his 1st Place EVVY Award for Snow Men. Snow Men went on to win last year’s Outskirts Press Best Book of the Year. Buy it here. Winning the Outskirts Press Best Book of the Year award comes with a number of perks, including extra exposure throughout social media (such as blog postings exactly like this), the option of adding a permanent “Best Book of the Year” graphic emblem on the book itself, and of course the $1500 Grand Prize added to his author account at Outskirts Press. 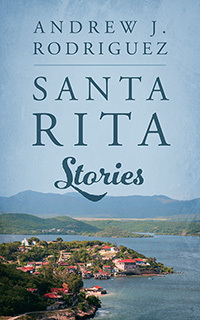 Now that Outskirts Press has been updated and upgraded, the Best Book of the Year winner also receives prime “real estate” on the Outskirts Press direct bookstore, where one of the rotating “slides” promotes the book, with a direct link to buy it. This graphic will remain on the bookstore until the NEXT Best Book of the Year is determined. I’m going to ask Andrew if he’s willing to be interviewed about his process, his books, his tactics for dominating the Best Book voting, and his plans for the future. With any luck, he’ll say yes. Stay tuned. 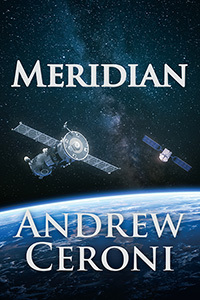 But in the meantime, congratulations to all our Finalists (that’s an amazing feat in its own right) and our Grand Prize Award-winning author — Andrew Ceroni, author of this year’s Meridian! Last week when I blogged about our Best Book of the Year process, I mentioned that some pictures from the August 20th EVVY Awards would be posted on my blog soon. The pictures I referred to were those taken by the CIPA photographers (I smiled for so many pictures as I accepted our authors’ awards that my jaw was literally beginning to hurt), and I figured they would be made available any day. I spoke too soon. So rather than wait for their pictures to be posted, we used some of our own photographs that we took that night to complement our September 1st Newsletter article about the Best Book of the Year Awards. It was a fitting debut, since this is also the edition that is unveiling our new & improved newsletter, with a better format and better content. You can see the new newsletter here. Our branding is improved by being more on point with clearly defined colors, fonts, and language. Our packages are improved by including more elements our clients over the past decade have asked for. Our website is improved by being responsive to all devices, being less cluttered and more cutting-edge. Our communications (namely email) are improved by being more focused, more helpful, less sales-y, and responsive. And our newsletters are improved by bringing all those previously listed improvements together. The first newsletter is a good example of this, where you can clearly see the results of the brand and messaging overhaul. You can also see how we are providing free tips (in this case, an article about creating the perfect book title), and sharing more details about the amazing people behind the scenes at Outskirts Press, beginning with our Director of Operations, Wendy. Noteworthy perhaps, is what the online newsletter doesn’t include. 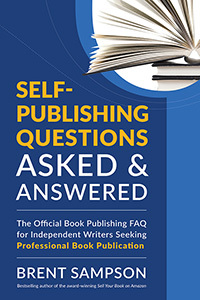 The emailed version includes other articles and advice that are only available by subscribing to it or publishing with us (we send out two different versions — one for potential authors and one for published authors; and of course, the content is different, because a published author requires different information than a soon-to-be-published author). The online version, on the other hand, includes only portions of each emailed newsletter for the general public. And now that we’ve officially announced the upcoming Best Book of the Year awards, it’s time to choose our 3 finalists! They’ll be revealed next week on our blog. Stay tuned! Now that every Outskirts Press author (past, present, and future) receives a free responsive Author Webpage for every book you publish with us, it’s time to share some “best practices” for making that webpage all it can be. Many Outskirts Press authors publish their books with our Private Label Imprint option. This means, we work our magic behind the scenes, and our publishing name is not on their book anywhere. Well, that’s all well and good, until it came time to use our “old” author webpages, which still featured our logo and our publishing name. The NEW & IMPROVED responsive author webpages recognize our Private label authors. If you published under an independent publishing name, YOUR publishing name will be on YOUR responsive author webpage. Now you can proudly aim your customers to your author webpage with your publishing imprint on it! The “menu bar” along the top of your new responsive author webpage makes navigating to the individual sections a snap, and did you know the menu bar is dynamic? That means, if you don’t have content in a particular section, that menu selection won’t appear on the menu bar. This occurs most frequently with the “Excerpt” and “Media” sections, since those sections are optional. But just because they are optional doesn’t mean you should ignore them. If you don’t have an excerpt on your author webpage, add one by accessing the “Sales Tools” of your Publishing Center. Around 250 words work best. Just cut-n-paste them into your “Excerpt” field. Surround the contents of each paragraph with the <p></p> paragraph tags, by putting a <p> in front of the beginning of every paragraph and the </p> at the end of every paragraph. This will ensure that paragraphs don’t run together. By adding these simple codes to your excerpt you can make sure your words look just as good on your webpage as they do in your book. Format Your Synopsis and Biography! See those formatting suggestions above, about adding line breaks or paragraph breaks to your excerpt? They work for your synopsis and biography boxes, too. Read your summary/details, your excerpt, and your author biography on multiple devices and make sure you’re happy with how everything looks. (Don’t forget to spell check your work!) If you want to add some line breaks or paragraph breaks, follow those rules above to make your webpage look as good as possible. <font color=”ff0000″>This makes words red!</font> (although WordPress doesn’t let me make them red). The other “optional” menu item is for the “Media” section, specifically book video trailers or audio excerpts. The audio excerpt is included with many of our packages, so if you have recorded your audio excerpt, it is available from your author webpage already. Check to make sure it is working correctly by visiting your author webpage from multiple devices (your phone, your tablet, your computer). Sometimes you might discover that your audio plays fine from a desktop, but doesn’t play at all from an iPhone, for example. Isn’t technology wonderful? If that’s the case, just let us know and we’ll fix it for you. If you had the Audio Excerpt option but never took advantage of it, now’s the time. You’ll find the instructions in your Author Toolkit. Just find that option, click the “more” link and instructions for how to record your Audio Excerpt will open up for you. Read an excerpt from your book, or make a general comment about why you wrote your book. Buyers love hearing from authors, literally! If your package didn’t include the Audio Excerpt option, you can always add it from the Marketing Options screen of your Publishing Center. The other multi-media component of the Media section is your book video trailer. This is a very popular marketing option that we offer, so chances are, your book video trailer may already be in your webpage’s Media section. If you didn’t order a book video trailer with your publishing package, you can add one now from the Marketing Options tab of your Publishing Center. In addition to being added to your author webpage, we will add it to our YouTube channel and other video distribution services. You will also receive the file for your additional marketing efforts. But here’s a little known fact — if you have a book video that you did NOT order through Outskirts Press, you can still add it to your Author Webpage. Just contact Chris at chrisk@outskirtspress.com with the embedded code (or the YouTube URL), and we will be happy to add your independent book video to your author webpage for you. The hardcopy books (paperback and/or hardback) available for sale from your Author Webpage always have a 10% discount, to encourage your webpage visitors to buy your book. Don’t worry – you still receive your full royalty! But knowing about this discount may give you confidence to send customers to your author webpage instead of to Amazon or Barnes & Noble’s website (where your customers may or may not receive a discount at all). Speaking of formats, make sure you’re selling your Digital Download edition at the proper price. If you have the Digital Download edition (and many of our authors do), and if you did not set a specific price yourself, our webpage will default to a price of $5.00. But the best practice is to match the price of your Kindle or Nook ebook editions (you added those formats, right?) You can modify your Digital Download price from same screen of your Publishing Center where you manage your author webpage. 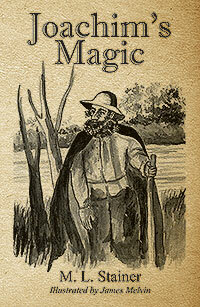 Your author webpage features a Facebook “Like” button under your book cover. Make sure you like your own book! When you do, you’ll have a chance to write a post on your Facebook feed. We recommend asking your Facebook friends to “like” your book, too. After all, your Facebook Friends & Family are the most likely people to click on your Author Webpage link and “like” your book, but they may only do it if you ask them to. Speaking of Facebook, you HAVE a Facebook account right? If you don’t, go to Facebook right now and start one. Every author must have a Facebook account. It doesn’t hurt to have a Linked-In account, either. Those are the two “must-haves” for every author. If you’re more experienced with social media (and have a bit more time on your hands), you may also have a Twitter, Instagram, YouTube, and/or Pinterest account. That’s great! And guess what? Your new responsive Author Webpage can link to ALL those social media accounts directly from your “About the Author” section — but ONLY if you tell your webpage how. Click on the “Edit My Profile” in the upper right-hand corner of your Publishing Center. Or, alternatively, you may have a “My Account” link. In either case, clicking that link will open up your Profile Page, where you can Edit Your Profile, provide Social Media Details, and set your Royalty Payment Details, among other things. Enter in the URL for each of your social media profiles. The easiest way to do that is to go to each of your active social media platforms and go to your “home” or “main” page of your account, and then cut-n-paste the URL from the Internet Browser and place it into the appropriate field of this form. Don’t forget to save your changes. Then, when you re-visit your Author Webpage, your About the Author section will automatically add links to each of the social media accounts you added. Click on each one to make sure you entered the proper link. If it doesn’t go to the right place, make adjustments accordingly. … and, well… write the next book, of course. Here’s to your great success!